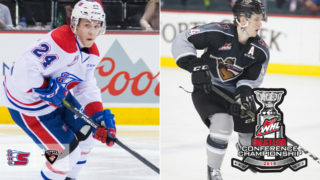 This afternoon in Langley, the Vancouver Giants and Kelowna Rockets will lock horns for the second time this season. The Giants are coming off a back-to-back stretch of games against Portland and have an 0-1-1-0 record to show for it. Meanwhile on Vancouver Island the Kelowna Rockets are coming off back-to-back convincing victories over the Victoria Royals. Friday night the Rockets topped the Royals 8-2 and followed up last night with a 5-1 win. Earlier this month on October 3rd the Giants earned a 5-0 road shutout victory over the Rockets. The Kelowna Rockets are 2-0 on the weekend having posted two dominant victories over the Victoria Royals on the road. The Rockets outscored the Royals 13-3 through two games —winning 8-2 on Friday and 5-1 last night. Friday the Rockets were led by defenceman Lassi Thompson (2G, 2A) and forward Liam Kindree (1G, 3A) who both posted four-point games. 12 of the Rockets 18 skaters registered at least a point in Friday’s game. Last night Liam Kindree followed up his solid Friday with another goal and an assist. He was named the game’s second star. Sophomore goaltender Roman Basran started both games for the Rockets and stopped 42 of the 45 shots he faced over the span of two games. He was named the first star in last night’s victory. 1999-born forward Kyle Topping leads all Kelowna skaters with 18 points (3G, 15A) through 13 games to start the season. The Salt Spring Island, B.C. product has points in each of his last seven games (two goals, 10 assists in that span). The last game that he was held off the score sheet was against the Giants in Kelowna back on October 3rd at Prospera Place. 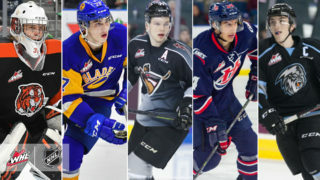 Earlier this month, the Kelowna Rockets franchise was awarded the 2020 Kia Memorial Cup. The Rockets last hosted the event in 2004 and ended up winning it. It puts the Rockets in an interesting position of pursuing success this season, while trying to balance the needs of next season. Coming into today’s game, the Rockets sit fourth in the B.C. Division and ninth in the Western Conference. 2000-born Forward Michael Farren was recently acquired in a trade with the Saskatoon Blades and he figures to play a part in the Rockets run next season. 2001-born goaltender Trent Miner returned to the Giants goal crease in last night’s game and was marvelous stopping 31 of the 33 shots that Portland fired his way. For the season, Miner is 2-0-1-0 with a 1.33 goals-against-average, a .955 save percentage and one shutout. That one shutout came against the Kelowna Rockets back on October 3rd. No official word yet on who will start today for the Giants, but even if it’s David Tendeck – He went 3-1 against Kelowna last season with a 2.22 goals-against-average and a .931 save percentage. 2000-born forward Yannik Valenti recorded his first WHL goal in last night’s game for the Giants. Valenti posted an assist in Friday’s game in Portland as well. 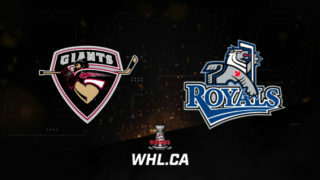 Giants head coach Michael Dyck said after last night’s game that Valenti has played two of his best games in a Giants uniform this weekend, which should bode very well for his confidence as he continues to get his feet wet as a WHL’er. 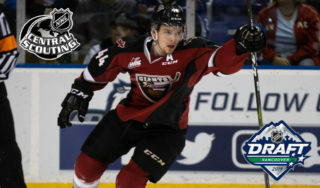 The Vancouver Giants come into today’s game with a 9-2-2-0 record. Their 20 points ranks them first in the B.C. Division and the Western Conference standings. Since September 30th the Giants have compiled a record of 7-1-2-0. A major key to their success has been limiting the goals against. 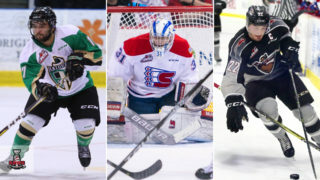 Coming into today only the Prince Albert Raiders and Everett Silvertips (each with 26) have surrendered fewer goals against than the Giants (28). It’s worth noting that the Silvertips have played in three fewer games. 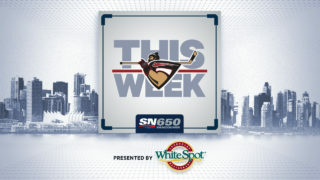 This afternoon’s game goes at 4:00 PM from the Langley Events Centre.